REHOBOT Hydraulics has signed an agreement with THOR Middle East to distribute its products in the Middle East, as well as in North and East Africa, based in the United Arab Emirates. REHOBOT Hydraulics manufactures and sells high-quality high-pressure hydraulic pumps, cylinders and tools, and has a history of industrial production in Sweden that goes back all the way to 1924. THOR has the exclusive right to sell products from HIAB in the region. Based in Dubai, the company serves many large countries in the region, such as Saudi Arabia, Qatar, Bahrain, Egypt and Algeria. 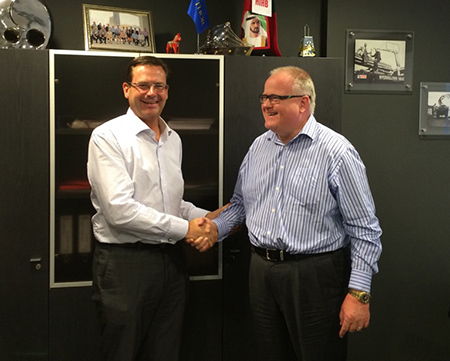 THOR will be able to offer both new and existing customers REHOBOT Hydraulics products in the region. THOR has an annual turnover of EUR 15 million and will have exclusive sales rights in the region for industrial and automotive products from REHOBOT Hydraulics.